Combining four independent induction hobs set under a one-piece glass top, the hobs can be operated alone or ‘sequentially regulated’ to effectively re-create the flexible cooking power of a conventional gas or electric solid-top. The Charvet Induction Multizone is now available in 1-metre wide Charvet ONE modules, fitted over a Charvet electric oven. 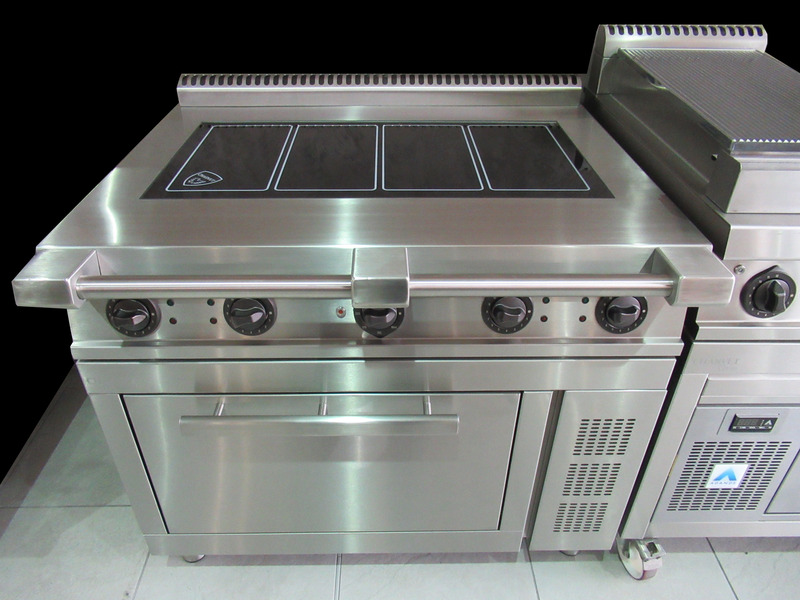 Charvet is one of the few manufacturers of induction technology that is both robust and reliable enough to mount directly over an oven. Meeting the demand for truly multi-functional heavy-duty equipment, the Induction Multizone can perform in a similar way to the much-loved solid top – without all the wasted heat and energy! Pan-detectors sense when the cooking pan or pans are placed on top. High heat settings in the centre and simmer settings on the outer hob make it ideally suited to using various sized pans for service, but the Induction Multizone is equally suited to heating up large stockpots for making stocks overnight, or boiling up big pans in the morning.